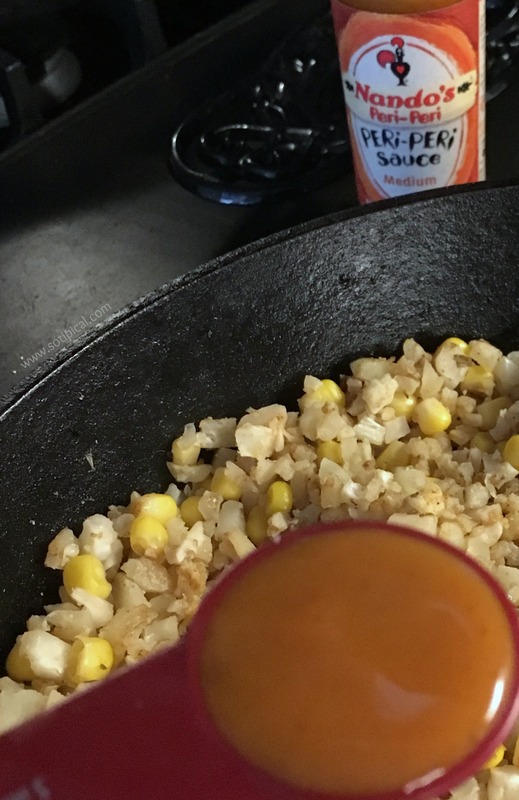 There are several great items here, but I zeroed in on the Peri Peri Sauce and knew I’d be using that first! 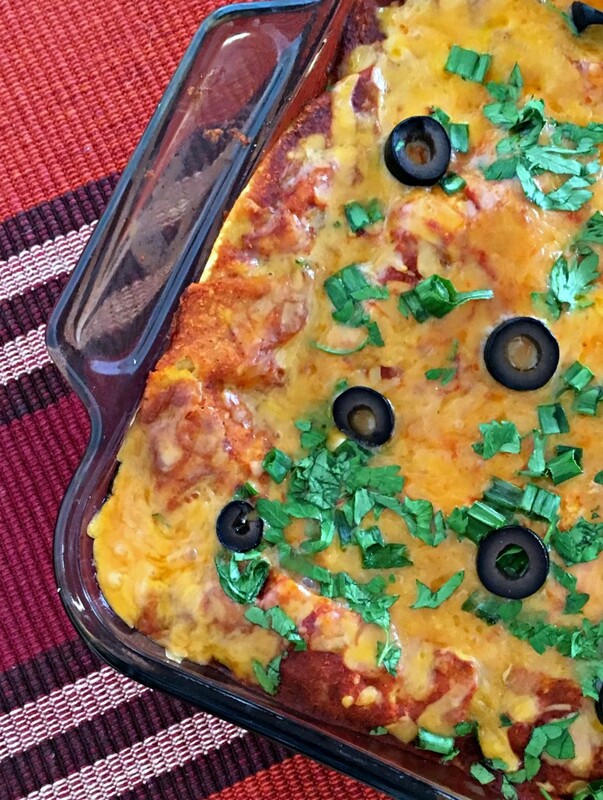 So you may be wondering if there is such thing as a “healthy enchilada casserole” and the answer is YES! I actually made 2 pans of this casserole this week. The first one was devoured while my back was turned and I never got to take a photo of the finished product. 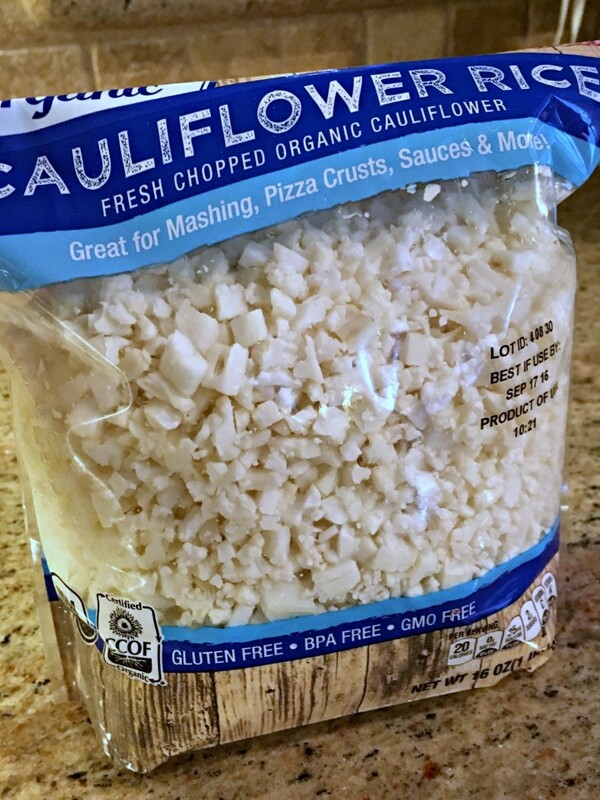 (#BloggerProblems) Both times, the kids at seconds, brought some for lunch to school and never once realized it was loaded with cauliflower!!! Thats right, cauliflower. I found this bag of Cauliflower Rice while grocery shopping last week. I had “riced” a head of cauliflower before, but this was the first time I had seen it sold this way at my local market. SCORE! But getting back to the casserole, it was virtually undetectable and you couldn’t taste the hidden veggies at all. Everyone thought it was onion and maybe some rice. Preheat oven to 350 degrees, then coat the bottom of a 9 x 13 baking pan with cooking spray. Place a large skillet over medium heat and add olive oil. Once hot, add diced onion and raw riced cauliflower. Next add the corn, cumin, oregano, salt & pepper. Continually stir until seasoning is well distributed. Add a teaspoon of Peri Peri sauce and cook for another minute or two. Remove from heat and set aside. 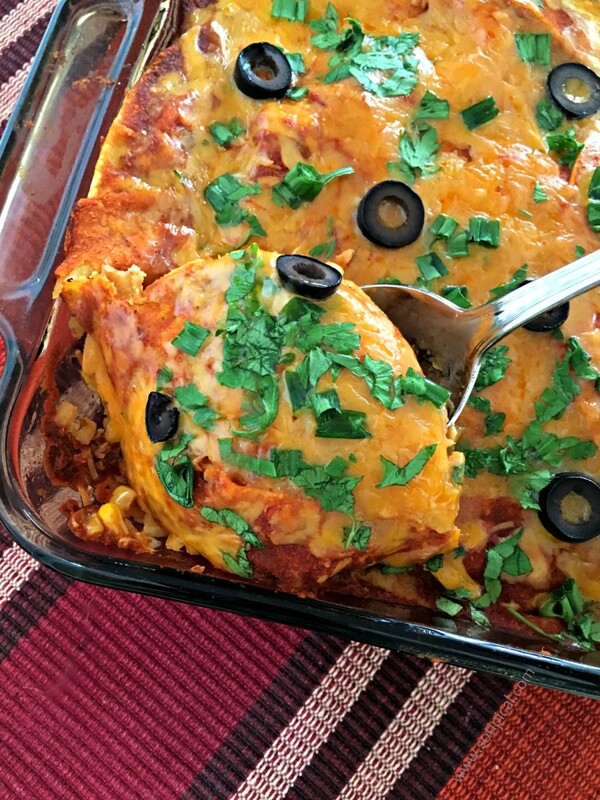 In the bottom of your baking pan, add a few TBSP of the enchilada sauce to coat the bottom. Gather your shredded meat, veggie mixture, cheese, tortillas and enchilada sauce. You will not begin layering the casserole. 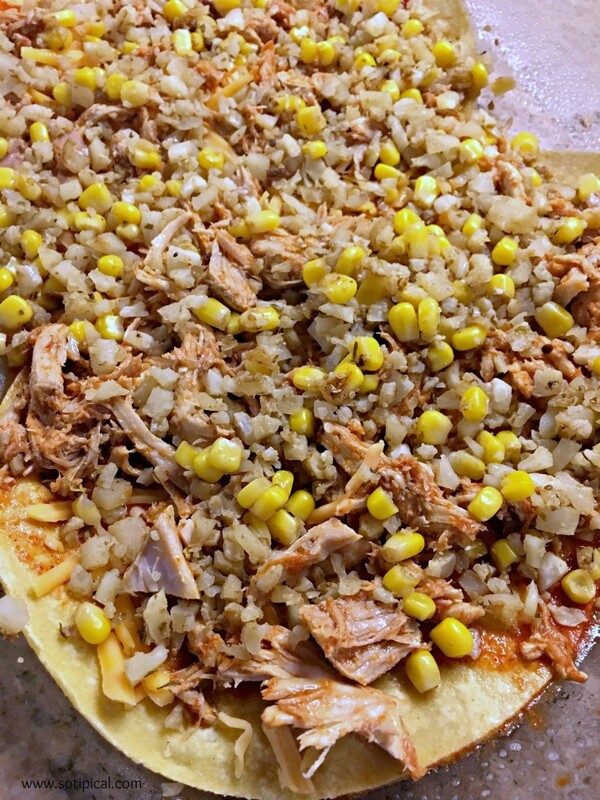 Be sure to brush each tortilla with enchilada sauce before you add them to the layers! Begin by adding a layer of tortillas to the bottom of the pan. I used 3 tortillas per layer. I had one left over that I cut up and filled in any gaps. Figure you will use about a third of each ingredient per layer. Ex: 1/3 of the veggies, 1/3 of the meat. The cheese is only a sprinkling over each layer and save the majority for the top layer. Drizzle a little enchilada sauce over each layer too. Once assembled, pour remaining (which should be about half of the can) over the top tortilla layer. Then top that with remaining cheese. Garnish with the olives and cilantro. Bake covered, for 30 minutes. When done, let stand for about 10 minutes before serving. *I actually assembled this in the morning and stuck it in the fridge until I was ready to bake it. You can even do this the night before! Sam Mills Gluten Free Corn & Quinoa Pasta with shrimp, garlic, olive oil and basil. 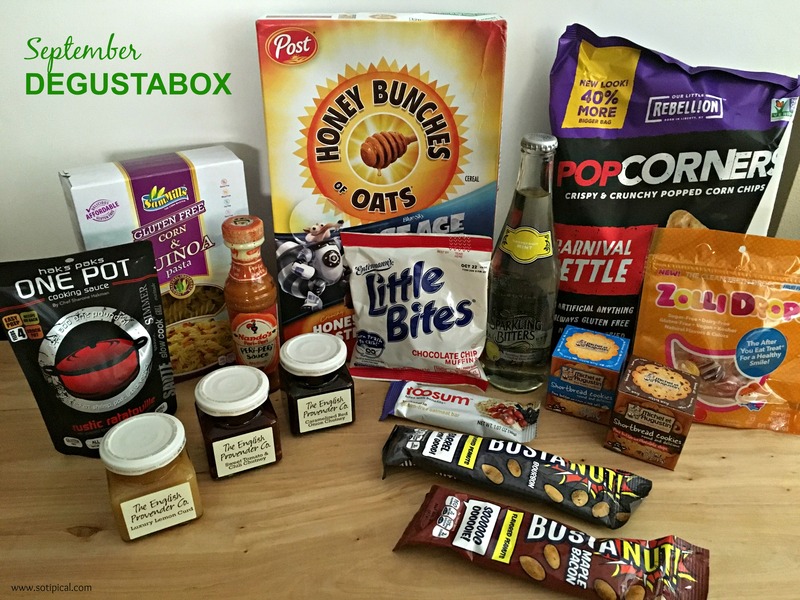 Entemann’s Little Bites were a lunch box treat. Bustanut Peanuts – between meal snack. What is your favorite healthy make-ahead meal?